My third stadium of 2011 was on Wednesday 19th January 2011 at Hawthorns in Stanway, Essex. The match was Stanway Rovers vs. Walsham-le-Willows in the Ridgeons Eastern Counties League Premier Division. 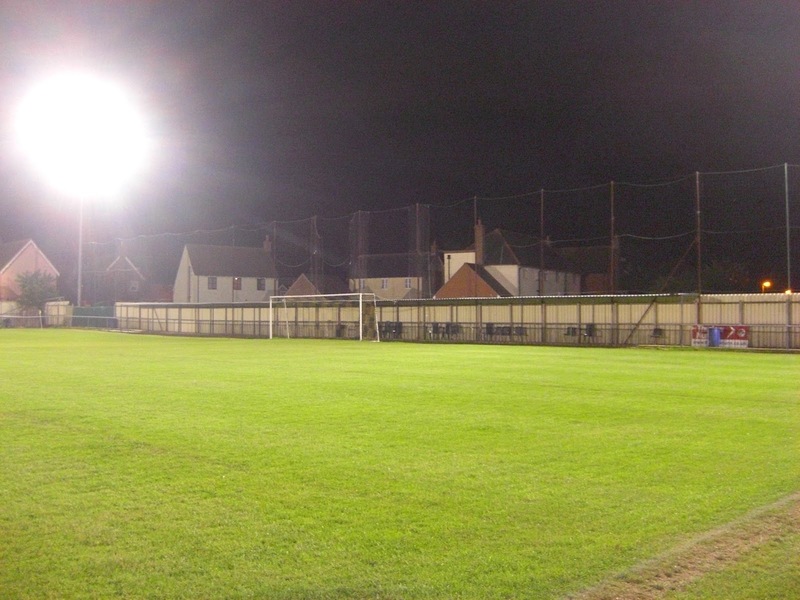 The Hawthorns ground is located in a residential area of Stanway just to the west of Colchester. The venue is 3 miles from Colchester railway station but there is a bus service from the railway station which stops close to the ground. 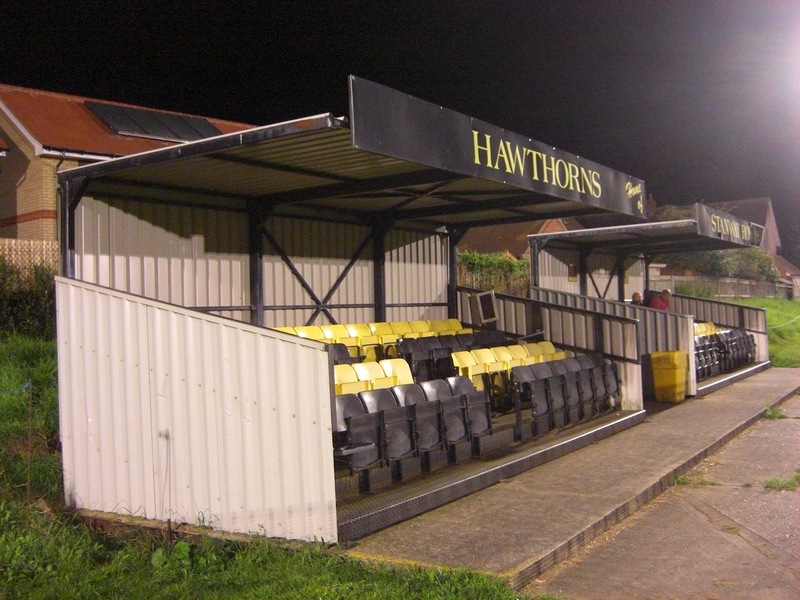 Hawthorns has been home to Stanway Rovers since 1979. The ground has two small stands level with the half-way line on the eastern side of the venue. These are both able to seat 50 supporters giving the ground a total seating capacity of 100. The remainder of this side of the ground is uncovered standing and it is the same story on the opposite side of the pitch. The western side of the ground contains the dugouts and two five-a-side pitches behind the pitch. The uncovered standing section continues round behind the goal at the northern end of the ground but behind the goal at the southern end is a covered standing area which also contains a few chairs for those who want to sit. The southern side of the ground contains most of the other club facilities such as the players dressing rooms and the clubhouse. The game was a pretty turgid affair - both teams came into the match in difficulties with Walsham-le-Willows towards the foot of the table and Stanway having sacked their manager three days earlier. It was the visitors who took an early lead but just when it looked like they were heading towards a narrow 1-0 win Stanway managed to sneak a last minute equaliser to rescue a draw for the home side.